November 28, 2018. 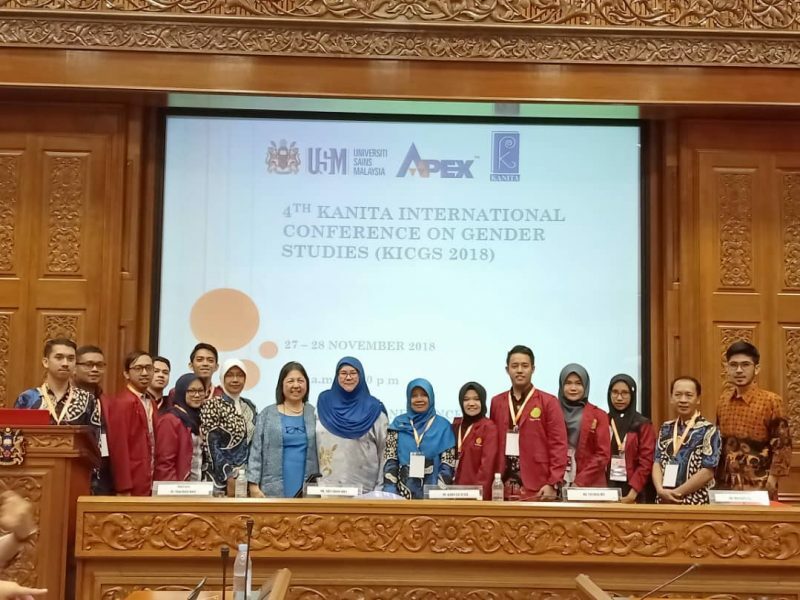 10 students from the Master of Government Affairs and Administration UMY took part in an international seminar organized by KANITA (Center for Research on Women and Gender) at the USM Assembly Council C.22. This international seminar with the theme of promoting gender equality was attended by students from various countries, such as Indonesia, Australia, India, the Philippines, and other Asian countries. The KANITA Intenational Conference on Gender Studies (previously known as KPICGS) is a project which began in 2012 in an attempt to create a platform for scholars and students from all fields to converge, find common grounds, and share distinctive experiences in research by presenting and discussing their research projects, which were mainly focused on investigating the social worlds of women and men as the realities of their lives impact on each other. KANITA as a centre for research which promotes equality and justice through gender projects and sustainable world. Prof. Dr. Noraida Endut said This conference is an international platform to motivate and unite scholars from wide-ranging disciplines but who have the mutual interests in striving for gender parity and equality. As a centre for research on women and gender, KANITA pledges to provide sustainable spaces to encourage scholars, stakeholders and members of the public to actively pursue, co-learn, co-create, and share gender-related knowledge for the common good of humankind.